Well, I must admit that I wasn’t expecting to be updating the blog so soon after yesterday morning, but you could say it’s a great complaint to have. Just after I had updated the blog yesterday, I got called down the river for the necessary photoshoot. 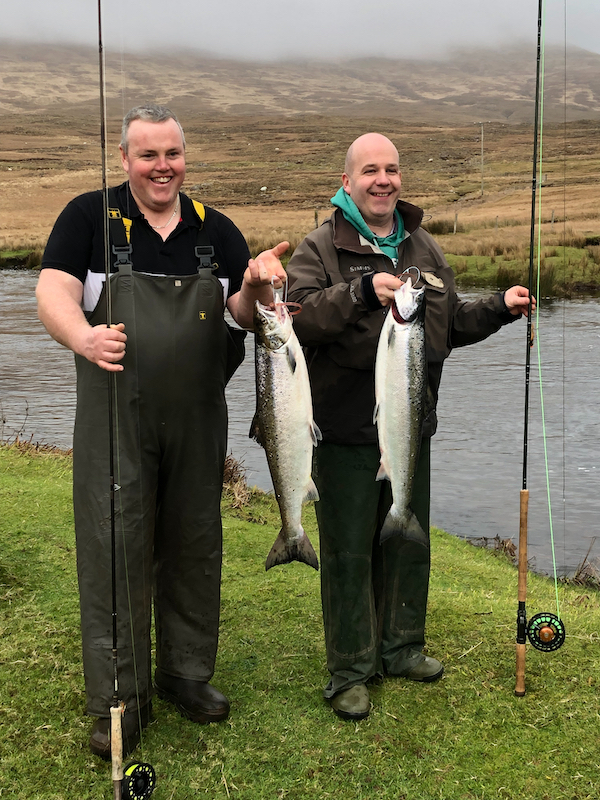 Yesterday we had a few local anglers from the Erriff fishing club and Peter Coyne was off the mark within minutes of starting in the Rock Pool, with a lovely fish of 7lbs2ozs on a Delphi Collie. The river was running at 53 at the time. Today we had our own ghillies and our long serving fishery staff and in fairness they delivered in style. 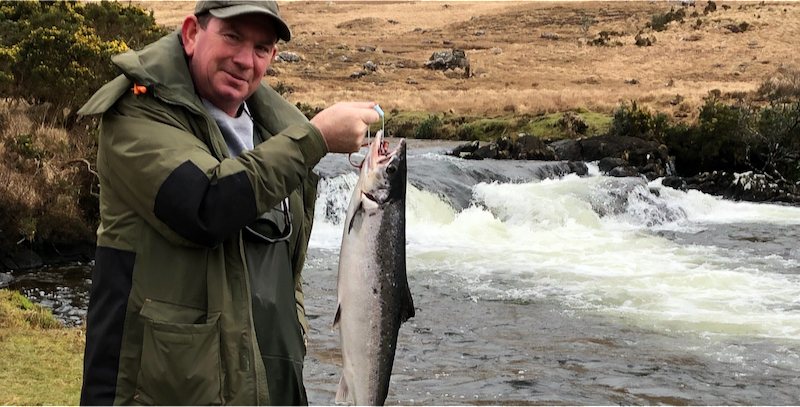 Noel Wallace who has been with us here at Delphi since 1994 and has probably clipped over a million smolts in his time, showed all the pros how to do it when he landed a picture perfect 7lb1oz fish in the Meadow Pool on a Delphi Collie. It was indeed just reward for Noel who has put in tremendous work here over the years and everyone was delighted. 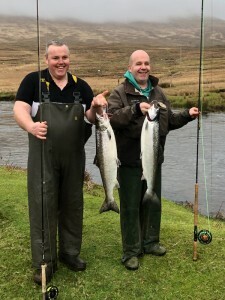 Pat Flaherty who helps us out from time to time also had great success when he landed a fish of 8lbs5ozs in Morrisons Pool also on a Delphi Collie. All I can say is that the beaming smiles in the photograph of the two of them says it all!